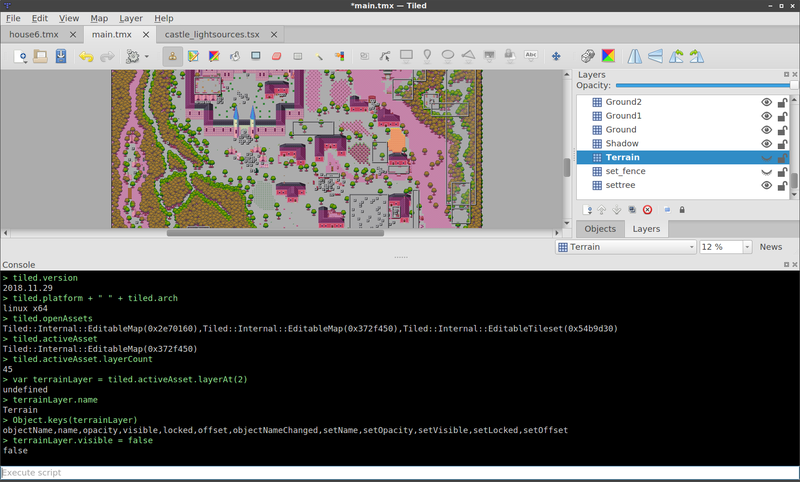 This development snapshot brings the first bit of scripting to Tiled! While the API is still very limited and you can only execute scripts by writing or pasting them into the Console view, it is still a big step forward since many decisions have been made about the exact approach to take. The API is still entirely undocumented, which will be one of the first things I plan to fix as we extend it further to allow changing all properties and also painting on the map. To see what is currently implemented, check out the ScriptModule (available as "tiled"), EditableMap and EditableLayer classes. Is it planned for the scripting to include UI functionality? Specifically, I'm interested in creating a UI to edit custom (JSON formatted) data that I use in my project. Right now I'm editing it by hand and pasting it into the desired custom property fields, but building a custom editor for it would make it much less error prone. Without a proper design spec it's hard for me to argue this, but in my head I was thinking of a button which creates its own UI window and injects a string property into the currently selected object without needing to hook into the formal UI itself. Your version is definitely more intuitive, though. And support for data structures would indeed render my proposed script unnecessary (assuming it supports dictionaries which can contain arrays of dictionaries... I think that's as far down as I've gone so far, I guess, but a dictionary of [data type] and array of [data type] would handle it. The UI on that could get interesting, though). Hi bro, I just tried your latest version of Tiled. 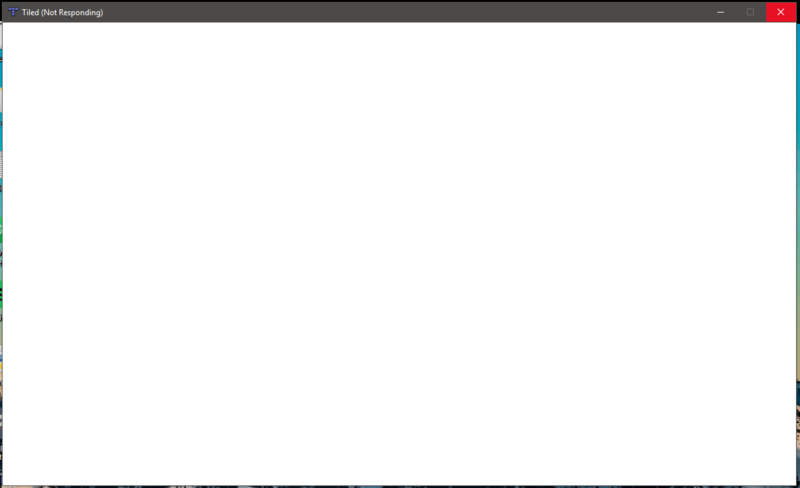 I opened the Tiled editor and it opened then closed again. No error message. I googled around and I saw one of your post about deleting the python plugin. When I did that it worked again. 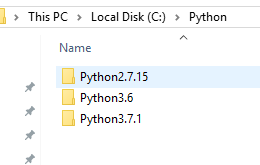 I'm a developer so I have quite a few python versions installed. Could that be the problem? I read your post on here. I can try and uninstall python and see what happens. Then reinstall it using the default recommended installation paths. I currently have python installed like this and it may be the problem. I can check and let you know. Okay, this is weird. So I may have reproduced the error. It has to do with the environment variables. 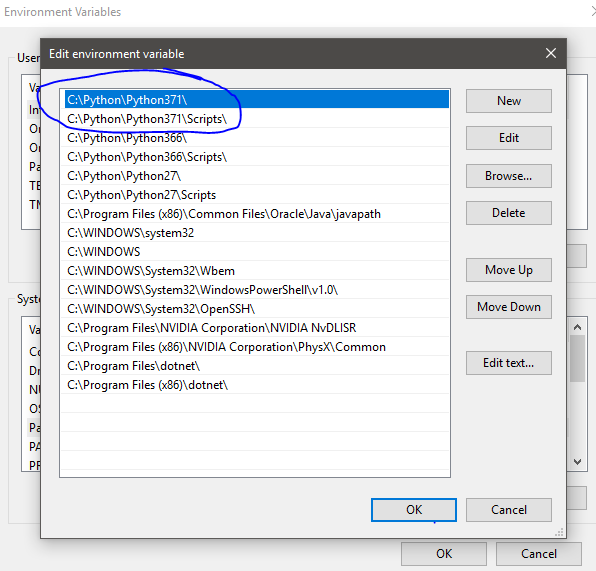 Tiled 1.2.1 does not open once you have python 3.6.6 as the main Python System Path Variable. However, if you change the System Path Variable of Python to any other version, Tiled 1.2.1 works perfectly. I hope this helps you. 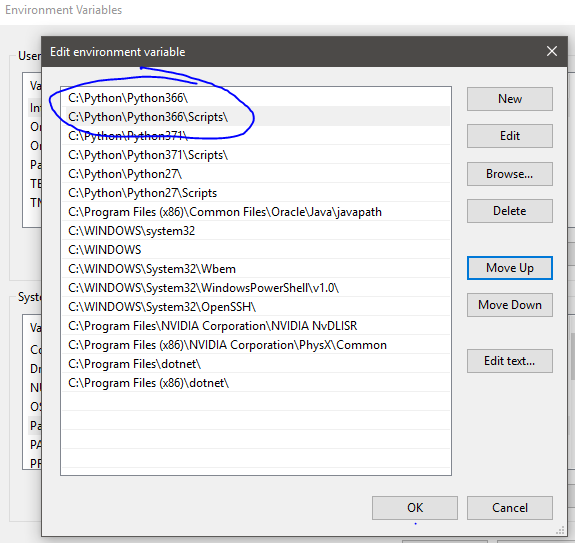 Also worth noting that I reinstalled python to C:\Python\Python366 and C:\Python\Python371 respectively. However, I doubt this causes the problem with the System Variable Paths.